Kaiserschlacht…….launched on 21st March 1918, was the final German attempt to secure victory in World War One. Although a tactical triumph it was, ultimately, a strategic failure. However, it clearly demonstrated two things. First that the British Army commander General Haig’s long-term policy of attrition, pursued on the basis that there was no alternative strategy since the defensive positions on the Western Front were impregnable, was wrong because these defences COULD be overcome by frontal assault, as was all to clearly demonstrated during the Kaiseschlacht offensive. Second, that Haig’s principal two attacks on the German line, on the Somme in 1916 and at Passchendaele in 1917 were utterly futile because every square inch of each of these battlefields which had been won at such dreadful cost over the prolonged months of both campaigns, was recovered by the attacking German forces during the Kaiserschlacht offensive. In the case of the Somme, this took just a few days. And in the case of Passchandaele, all the ground in question was voluntarily surrendered by British troops without a shot being fired. General Sir Douglas Haig. Commander of the British Army.Having failed with his attacks at the Somme, Passchendaele and Cambrai now faced the storm of Kaiserschlacht. Furthermore, the key modifications to the German Army’s attack methods, which were so effective during Kaiserschlacht, can be seen quite clearly to lead directly to the blitzkrieg tactics which they were to employ again so successfully in attacking the British and French armies in May 1940, when, having sat on their collective derrieres during the nine months of the Phoney War, both allies were then driven to the Channel coast in only ten days and forced to completely evacuate their forces. 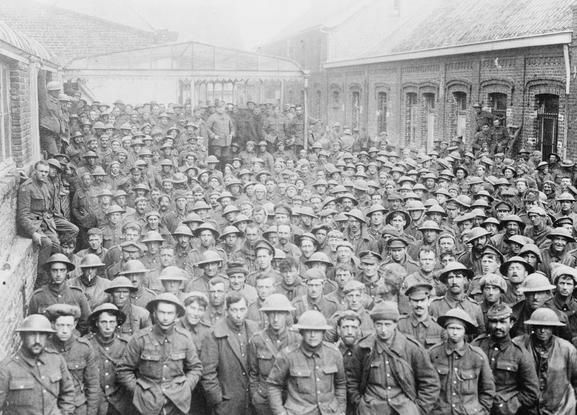 Masses of British POW’s taken during the opening phase of Kaiserschlacht. 100 hundred years on from the titanic struggle of WW1 and so much of what happened then is still argued about. The mythology is wrapped so tightly around the accepted facts that it becomes difficult to tell one from the other. Those of us domiciled in the UK are educated about WW1 in terms of the major British offensives. Kaiserschlacht is rarely mentioned. Indeed it is generally only dealt with grudgingly in the context of final victory, achieved with the welcome, but apparently unnecessary assistance of 3 million fresh combat troops from the USA. Yet the German attack, while it failed in its ultimate strategic goal, was a dazzling tactical success which vividly underscores the persistent and chronic inability of the British military leadership to find for themselves a solution to the problem of trench stalemate, despite taking three years and sacrificing some 600, 000 lives in their uninspiring efforts to do so. And there is that most contested of viewpoints: was Haig a criminal bungler, or a highly capable general and inspired leader of men? 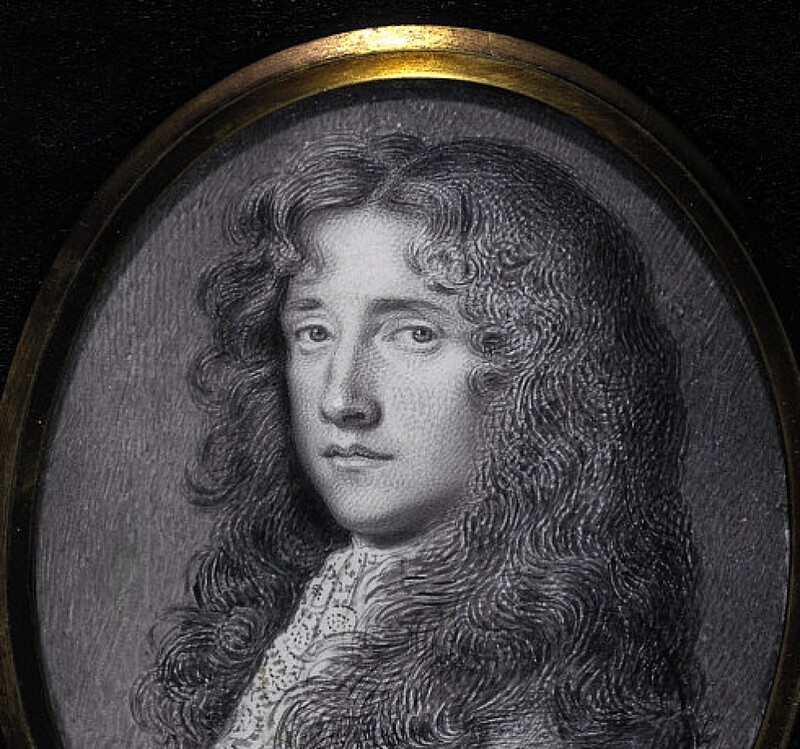 One of the principal arguments put forward by those who would have Sir Douglas hailed as a hero is that the commanders of all the armies involved in the struggle were faced with the same difficulties. And that barbed wire, machine guns and the endless mud presented those who stood on the defensive, with the strongest of advantages, against which any competent general would have struggled. …..as Germany struggled against the British Army from the failure of their offensive at the 2nd Battle of Ypres in May 1915 until the collapse of the British effort at Cambrai in December 1917. The Battle of the Somme. In 5 months the British Army pushed the front line back less than 9 miles. Thus the fruitless British campaigns at the Somme in 1916 and Passchendaele in 1917 are presented as regrettable necessities in the process of wearing down the German Army and without which the final victory achieved in 1918 would not have been possible. However…..even the most casual study of the Kaiserschlacht campaign in the Spring of 1918 demonstrates irrefutably that these conclusions are incorrect. The Britsih Army’s Passchendaele campaign of 1917. In 5 months less than 5 miles were gained. 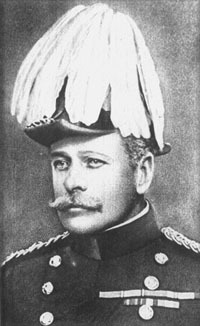 Following the failure of Germany’s initial invasion of France and Belgium in August 1914 with Field Marshall Alfred von Schlieffen’s eponymous plan, Chief of the German General Staff, Moltke the Younger, was replaced by General Erich von Falkenhayn. Under his command the German Army carried out another two frontal assaults on the British positions at the First and Second Battles of Ypres in October 1914 and May 1915. 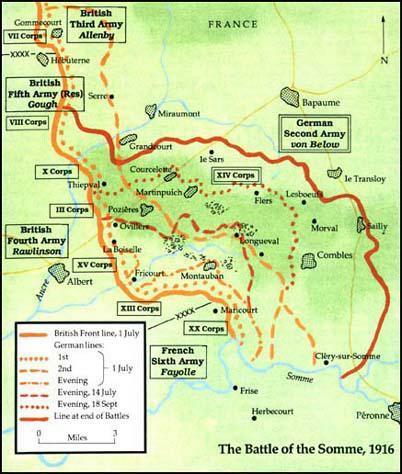 With the failure of both of these to break the British line, Von Falkenhayn came to the conclusion that none of the protagonists on the Western Front could achieve such a breakthrough at that point in time because the strength and width of defensive positions required that a successful assault would necessitated the use of TWO attacking armies: the first to punch the necessary 18 to 20 mile gap through the three lines of defence and a second to exploit the gap thus opened. And in May 1915 neither side had a spare army with which to implement such a plan. 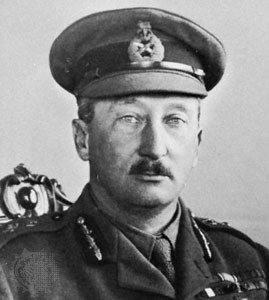 Thus von Falkenhayn turned his attention eastwards that he might achieve progress there, thereby conceding the strategic initiative to the British, still under the command of General Sir John French prior to his replacement by General Haig in the aftermath of the failure of the British attack at the Battle of Loos in September 1915 and as a consequence of the Haig’s shameless conspiring to have the former replaced. General Erich von Falkenhayn. Commander of the German Army September 1914 till September 1916 who realised as early as May 1915 that frontal assaults on the Western Front were futile. Neither French nor Haig drew such conclusions concerning the feasibility of frontal assault and gamefully set about devising stratagems to break the German line, roll up their flanks and return the war to one of rapid movement where superior British cavalry forces could bring about final victory . And so began to smash their faces in futile fashion against the German defences. The subsequent failure of their strategic assault at Loos in September 1915 was followed by the utter disaster of the Somme in July – November 1916 and then by the self-destructive futility of the 3rd Battle of Ypres in July – November 1917. With the last reserves of British military manpower then thrown away at Cambrai in December 1917, along with the huge potential of a surprise attack of massed tank formations, Haig had now no choice but to stand his remaining troops on the defensive and prepare for the inevitable and potentially overwhelming German counter attack. Since with the announcement of the USA’s decision to participate in the conflagration, any German victory would need to happen before July 1918 by which time the Allies would be able to field in the order of 3 million reinforcements. 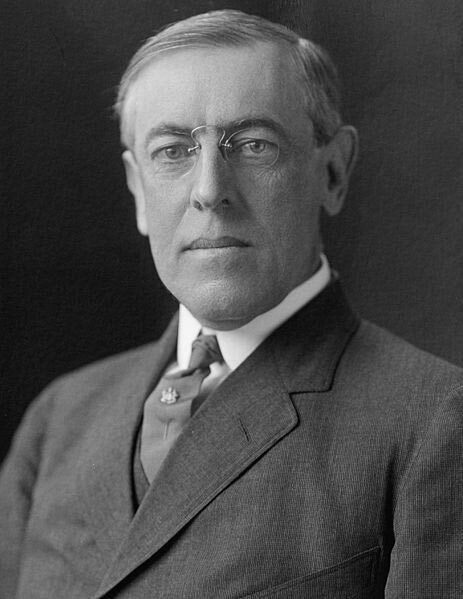 President Woodrow Wilson who persuaded Congress to declare war on Germany in April 1917 thereby initiating preparations for Kaisershlacht. Strong arguments have been put forward that the British had no alternative but to attack the Germans, that there was no feasible alternative. And that the limitations imposed on any attacking force by barbed wire and machine guns meant that massive casualties were inevitable. Indeed that it was a viable option to throw tens of thousands of infantry into the killing zone so that they might kill more Germans than they themselves lost, thus paving the way to final victory. Even today, the merits of the philosophy of attrition is commended. Let us challenge this viewpoint. Let us consider that there WERE solutions to the stalemate of trench warfare and that with the appropriate amount of focused thought that such solutions could be found…….as indeed the Germans found them. Only not Von Falkenhayn who had paid the price for his failure of the Verdun offensive (another case of galloping mythology). 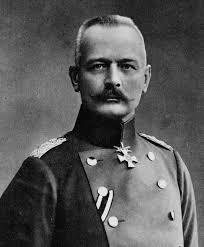 But his successors, Hindenburg and Ludendorff. Architects of Kaiserschlacht, who finally broke the stalemate of the trenches but led Germany to final ultimate defeat. In most fields of human activity, the numbers inevitably tell the true story. This is as true in war as in any other. So let us look at the key numbers and how they measure up with respect to Kaiserschlacht in relation to the previous main British attacks. At Loos in 1915 the British attacked for 2 weeks, gaining 3 miles. At the Somme in 1916 offensive action continued after the unprecedented disaster of that first day for a further five months. The front line was pushed back a total of 9 miles. And at 3rd Ypres in 1917 British forces slogged uphill for five months to gain a total of 5 miles. With each of these attacks the strategic value of the ground gained was none. None. The total casualty count was in the order of six hundred thousand combat troops. This was presented at the time, and in the century since, as being an acceptable price to pay in order to wear down the German Army. And in any case we won so we must have been doing the right thing. Kaiserschlacht Phase One: Operation Michael. 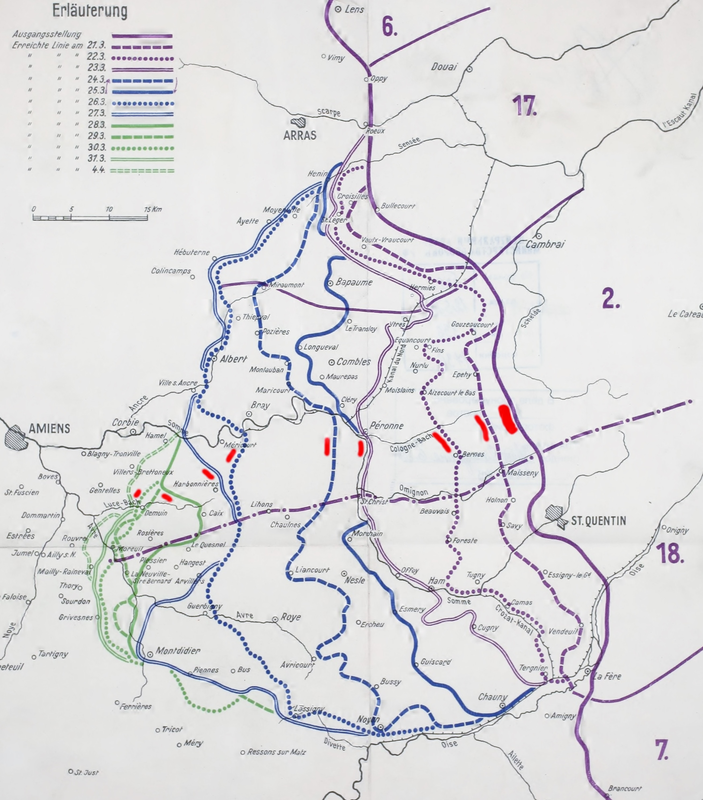 In ten days the Germans took 1000 square miles of Allied territory, pushed the front line back 40 miles and almost captured the key transport node of Amiens. So how did the Germans manage to turn the whole situation on its head in the Spring of 1918? In April 1917, Woodrow Wilson persuaded Congress to declare war on Germany. Probably the single most significant event of World War One, although taking place thousands of miles from European battlefield. This started the clock ticking. The principal European protagonists knew exactly how long it took to train hundreds of thousands of civilians to the necessary state of combat readiness, at least fifteen months. So if Germany was to secure victory it had to do so before July 1918. Having rigorously examined all the previous failed strategic assaults which had been carried out on the Western Front, Hindenburg and Ludendorff identified the reasons for failure and thence developed solutions to the problem. 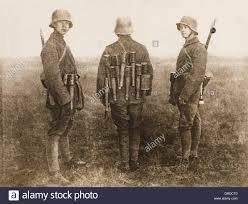 Firstly, they acknowledged that by this late stage in the war there was a wide disparity in the physical condition of Germany’s combat troops. Recognising that many of their soldiers were capable at best of holding a trench line against frontal assault, they combed the best out of the ranks to be designated as stormtroopers and given specific training in the task that awaited them. Picked men, specially trained in the new battle tactics and lightly equipped to ensure maximum progress. Secondly, they tackled the issue of the pre-attack artillery bombardment. For many centuries of warfare surprise has often been the decisive factor in battle. By 1914 the merits of surprise had to be weighed against the value of attacking with an opening artillery barrage in order to; destroy the front line defensive positions, take out the defenders’ artillery and disrupt communications and the process of reinforcement. It was this notion that induced Haig to assault the German lines with artillery for 5 days prior to sending in the infantry at the Battle of the Somme and for 7 days prior to Passchendaele. Hindenburg and Ludendorff took the other option and combined the destructive merits of the devastating artillery bombardment with the element of surprise by firing all their shells over the course of just five hours. Also, where the British attackers waited patiently till their artillery bombardment was concluded before leaving their trenches, cued by officers’ whistles, the Storm Troopers crossed the parapet when their barrage BEGAN. And having cut their way through the barbed wire, positioned themselves as close as possible to the British trenches without incurring injury from their own shells. Then they simply waited untill the shelling stopped. At which point they immediately stormed the British trenches. Finally, also in the face of accepted wisdom at the time, the German attackers were directed to bypass any British strong points which were able to hold out against the initial assault. On the day these few positions were quickly isolated as the wave of attackers pushed the defenders back by a measure of miles. Fortuitously on the morning of the initial attack the Germans were aided by heavy mist. This also has been used to defend the abject performance of the British ………..it really has. Fortuitously also General Hubert Gough, upon who’s 5th Army the devastating storm was to break, deemed it best to position the majority of his infantry in the front line positions, such was his concern about the likely volume of enemy infantry that would be crossing no man’s land to attack. The inevitable result of this was to increase the casualties incurred during the initial artillery bombardment. Much has been made of the lessons learned by the British Army during the Battle of Passchendaele from the defence in depth tactics developed by the Germans during this campaign. The truth of the matter is that if any such lessons were learned then none were implemented. General Hubert Gough, commander of British 5th Army which bore the brunt of Kaiserschlacht. All possible lessons to be gleaned from German defensive tactics at Passchendale were lost on him. 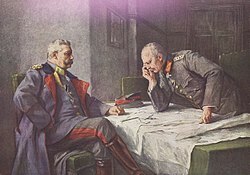 Ultimately, of course, Kaiserschlacht failed and under the command of Generals Haig and Foch, who had been appointed Allied Supremo during the height of the Kaiserschlacht offensive, with the able assistance of 3 million fresh American combat troops, the Germans were defeated just a few short months later. Nonetheless, through the lens of Kaiserschlacht it is possible to discern the reckless, foolhardy and wasteful manner in which Haig and his senior commanders pursued the war for over three years. This is the real lesson we should take from Kaiserschlacht.